Rep. Bruce Poliquin announced Tuesday that he would vote for a House Republican tax proposal. AUGUSTA, Maine — U.S. Rep. Bruce Poliquin of Maine’s 2nd Congressional District said Tuesday he will support fellow House Republicans’ tax cut blueprint when it comes to a vote later this week, calling it imperfect but a “sea change” that will make the federal tax code simpler. His support for the package is no surprise. He has made general statements in favor of “tax reform” for months. But it’s unclear whether Republicans can accomplish this major policy change after failures to replace the Affordable Care Act earlier this year. The last major changes to the U.S. tax code came in 1986. The plan from House Republicans is expected to get a vote Thursday, but it would have to be reconciled with Senate Republicans’ separate plan before becoming law. An analysis from the nonpartisan Tax Policy Center found that the House plan would reduce taxes on average for all income groups in 2018 and 2017. Overall, the Congressional Budget Office said it adds up to $1.5 trillion in tax cuts over 10 years. The House plan would lower the corporate tax rate from 35 percent to 20 percent, create a new 25 percent rate for pass-through businesses and reduce the number of income tax brackets from seven to four. The top rate of 39.6 percent would remain, but the income threshold where it would apply would be more than doubled to $1 million. But Poliquin said in an interview that it would be a “sea change” that will benefit most Maine families and make the tax code easier to understand for middle-class taxpayers. “It’s the right thing to do, it’s the right thing for Maine, and I’m going to be voting for it on Thursday,” he said. Impacts of the plan would be distributed unevenly. The Tax Policy Center found that the top 1 percent of earners would get 20 percent of benefits under it in 2018. That would rise to 50 percent in 2027. Next year, 7 percent of taxpayers would have higher taxes and 24 percent would in 2027. Left-leaning groups, including the Center on Budget and Policy Priorities, have cited the country’s high debt ratio as a reason to oppose to Republican packages. Pingree has cited the plan’s elimination of a $10,000 deduction of medical expenses that the Senate wants to keep. Poliquin said he wants it kept in the final plan, too. Republicans argue that economic growth could offset debt impacts. The right-leaning Tax Foundation has said the House plan could lead to $1 trillion in growth over a decade. 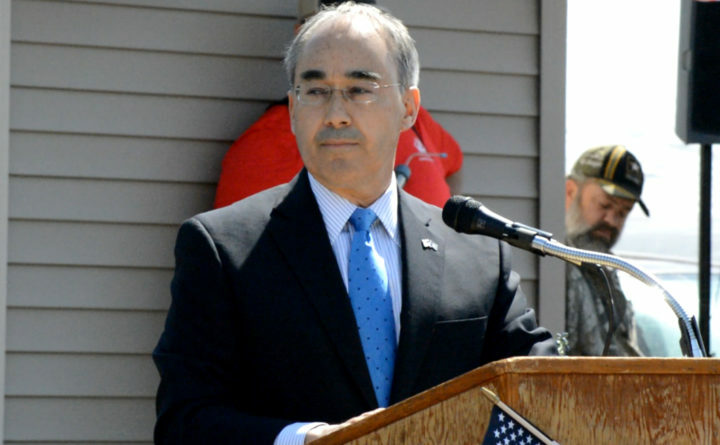 Poliquin, who has campaigned for his seat twice on reducing the national debt, held that line Tuesday. “I’m very concerned about [the debt], but I’m also very concerned about our families who haven’t had a pay raise in 10 years,” he said.